When a baby finally sleeps through the night it is like a veil is lifted from your eyes as a new mother. This typically is about the same time that your baby starts to really smile at you and it feels like maybe you can actually handle this thing called Motherhood. 🙂 Here are some of my best tips from being a Mother of three and recently having gone through my third 0-6 month stage of newborn life. 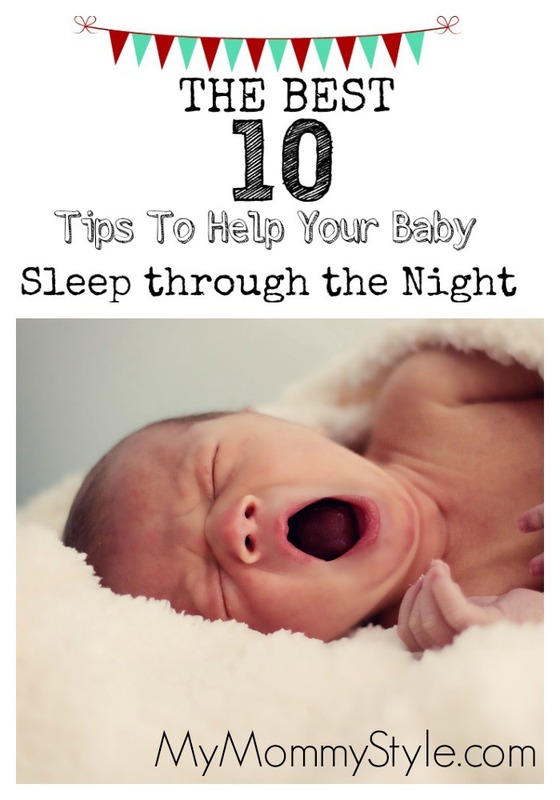 So, without further ado here are the best 10 tips of getting your child to sleep through the night. 1. Invest time into reading about babies and sleep patterns. My favorite “sleep training” book is On Becoming Baby Wise. It is a very practical approach to babies and their sleep. The overall message of the book is to develop a pattern of WAKE, EAT, PLAY, SLEEP. This makes it so that the baby isn’t always reliant upon you or a bottle to fall asleep. It also suggests that you pick a beginning feeding time that is the same every morning to develop a pattern that can be followed through the day. Read it through and then read it through again. With all of that being said about how much I love the book Baby Wise, I also take into account my baby’s personality, events in the family, personal preference, and schedule. I do not wake my child in the morning to feed him nor have I with the other two because we haven’t had to be any where in the morning yet. I am guessing by the time my next baby comes along I will not have that luxury, but I like it when he sleeps in so I can too or I can pay attention to my other children with breakfast and homework. I also do stack an extra feeding at night time and let my baby doze off to sleep as I nurse him for the last meal of the day. He isn’t totally asleep, but he is very close. I wrote this POST about creating a routine at night with your baby or even with your older children. Babies and children thrive on routines at night. It helps them to feel secure and know what to expect. Taking a bath, reading a book, and singing a favorite song can signal to your baby that it is time to turn down the lights, so to speak. It can calm them into being ready for sleep. Babies sleep best when the temperature is between 65-70 F. I like to sleep my babies in a warm sleeper and a light sleep sack. There are a lot of different options to choose from but I find that after the first few months of swaddling this is the next best thing to keep your baby warm and to know that they will not suffocate wrapped in a blanket. Having cooler temps in a room has also shown to reduce the risk of SIDS. Whether you decide to do this with an actual noise maker or fan I have found that allowing for a little extra noise can actually help my baby sleep better. I have read suggestions of even vacuuming. I know for certain that Jett is used to noise while he sleeps because of the dog, his brother, his sister, and being out and about; it has actually made him much more adaptable to sleeping with sound going on no matter where we are. I also like to use the swing set and the volume to ON, this has helped buffer some of the loud unexpected noises like a sister screaming, a knock at the door, or a dog barking. Sometimes all three are happening on any given day. If you are giving feedings in the middle of the night try to skip the burping (especially if you are nursing.) I have found that burping the baby can sometimes wake the baby back up. This might take a little trial and error on your part, but give it a try! Once your baby has developed a healthy pattern of wet/messy diapers (for me this is usually around 5 weeks), try going through the night without a diaper change. Having to undress your baby during the middle of the night can also wake them up. You may want to go up a size in diapers if you find that you are having leaks. Also, invest in a diaper you can trust to get you through the night. We love Huggies Snug and Dry diapers and wipes that you can get a Walmart for a great price! When you are getting your baby ready for bed or you are having a late night feeding keep the lights as dark as possible. When my baby wakes up in the middle of the night I typically will just use the light from my cell phone to do what I need to do. Sometimes I will just use the flashlight app and have it shine in the room to give me just enough light to not trip over things. Also, do not try to talk or make eye contact with your baby for middle of the night feedings. This technique can be hard to listen to at times but you will so regret it if you do not try! As the parent you can come to know your baby’s cries quite well just by listening. There are hurt cries, fussy cries, bored cries, and I NEED YOU RIGHT NOW cries. Typically when I am teaching a baby to self soothe it takes about 3 nights before the baby gets the skill down. In the beginning it can take 20-40 minutes, second night 15-20 minutes, third night 3-7 minutes. I always help my baby get into a sleep state through feeding, rocking, singing, bouncing; but when it comes to the actual falling asleep part I let them work it out on their own. I find that sleep training will a lot of times have to happen again after an illness, after teething, or a phase of some sort. Now when bed time rolls around I lay my baby down for nap and he will fuss for 3-5 minutes or not at all and can just fall asleep on his own. For Jett he likes me to signal that it is time for bed, typically with just a wrap in a light blanket for nap time. Take time for yourself so that you can be patient with your baby. Your baby will be able to sense anxiety through your breathing and movement. Every child is different and their needs will vary from time to time. With all of this being said there are so many tips that can help one parent and not help another. You are their parent and you know what is best, trust your gut! Sleeping babies make for a happy baby and a happy Mommy! 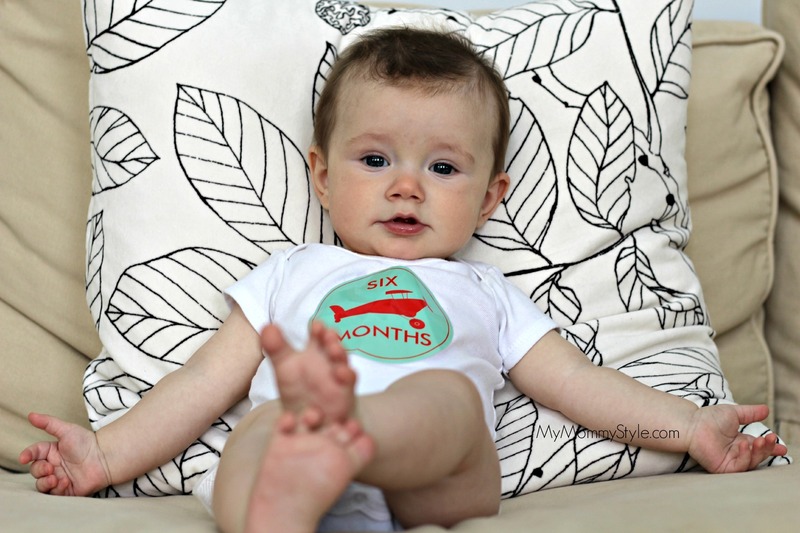 For me, my babies will typically start doing 6-7 hour stretches around 6-7 weeks of age. Right now Jett will go to bed around 10, sleep until 6:30 am, and then sleep again until 9-10. Occassionally he will sleep from 10 pm- 8 am. 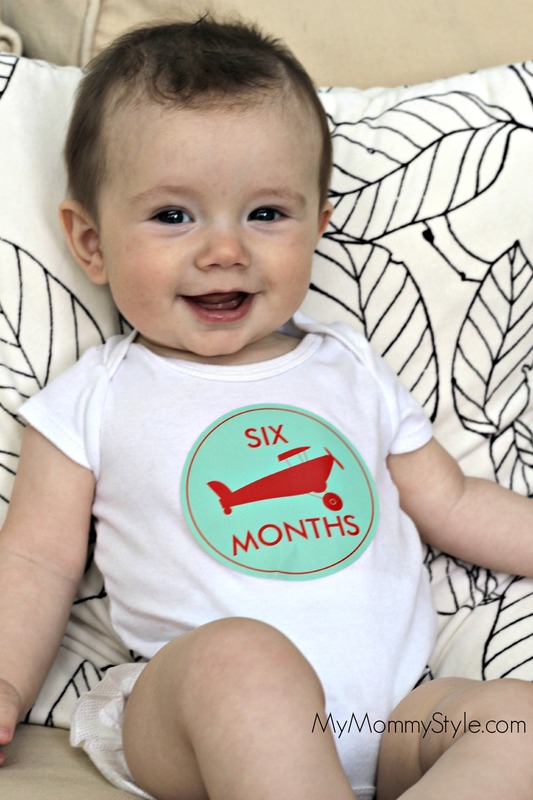 It is really hard to believe Jett is already 6 months old! The time has just flown by, as his name and his shirt will tell you. I can tell you that he is by far my easiest child right now as my three year old is giving me a run for the money. I want to hear what you think! What sleep tips do you like?